I received the black PUNK speaker and was excited to check it out. I was a bit shocked at first at the size. I have seen other wireless speakers in various stores but none were this small. I had to wonder if the sound quality would be just as good as a larger speaker. Set up was a breeze. After just a few minutes to connect the speaker via bluetooth to my iPhone, I was ready to listen to some music. The PUNK has a nice grippy surface the entire way around and is sleek in design. You can also connect the PUNK via 3.5mm jack so you can connect to your home or car stereo as well. Every single song I have listened to on the PUNK has been amazing. Definitely rich sound quality and you can almost feel the bass. You can control the volume as well and as someone who enjoys loud music, the PUNK didn't disappoint. It can get pretty loud but even when at loud volumes, the music doesn't get distorted at all. I was impressed with the long battery life. 8 hours is much longer than other brands. I cannot vouch as to whether or not it would play for 8 hours on a full charge but I can definitely say that it was still going strong after 4 hours. The 60' wireless range is also a massive plus. No worries if you happen to walk away from the speaker with your phone and go into another room. The PUNK will continue to play with no issues. I only tested this in my own home but did leave my home with my phone to grab something in my car and the PUNK continued to play during that time. This would make a fabulous gift for anyone who enjoys listening to music in and away from home. Perfect for that college student, avid traveler or that friend that enjoys entertaining in their home or backyard. With the PUNK speaker, it can go anywhere. It's water proof and dust proof so taking this to the pool or beach is no problem at all. The price is great with a MSRP of $69.99, but I have seen it cheaper in a few places due to Holiday sales. Best Buy is one such store. It's on sale right now for $49.99. 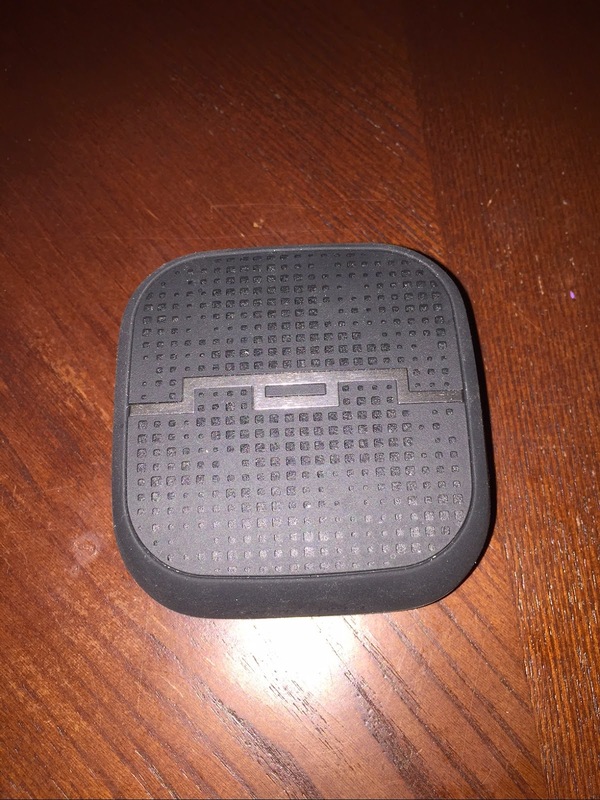 One lucky reader will win a SOL Republic PUNK speaker of their own! Winner will receive a PUNK wireless speaker in sponsors choice of color. You must be 18 or older and live in the US or Canada in order to enter. Enter via the Giveaway Tools Widget below. Giveaway ends on 12/31/14 at 11:59 pm eastern time. One winner will be picked at random via the Giveaway Tools Entry Widget and will be emailed. Winner will have 48 hours to respond or another winner will be chosen.